One of my friend's favorite co-operative games is Ghost Stories; so I took the opportunity to play it. In Ghost Stories, you take on the role of a Taoist priest that is fighting (along with three other priests) to excise Wu Feng from the world. Unfortunately, Wu Feng has legions of ghostly minions, which are terrorizing you and your village. Each turn, the active player reveals a ghost from the deck and places it on the board. Next, they can move one space and take that space's action (if it has not been haunted). Some of the actions include reviving a dead priest, rolling dice to gain more tao tokens, setting up a universal tao token that can be used in every fight, pushing ghosts away from the village, unhaunting village tiles, etc. Conversely, instead of utilizing a space's action, you may choose to attack any adjacent ghosts. Each ghost has a color and a strength. In order to excise him, you roll three dice (and potentially add tao tokens). If between the dice and your tao tokens you have enough strength in the ghost's matching color, then he is discarded. Eventually, Wu Feng will emerge from the deck (if you don't die first). If you are able to successfully defeat him before you all die or your village becomes especially haunted (you know - that time in a village's life when even the wind seems like it is whispering ghastly ramblings into your ear; oh - I mean three village tiles are haunted), then you win! My first pro for Ghost Stories is that it does an amazing job of providing a feeling of "optimistic doom." By this, I mean that you feel like you're going to lose. From round one. Yet, as the game progresses and you continue holding off your loss, you start to get the impression that you have a chance. I doubt that you will ever feel like you just dominated a game of Ghost Stories. Instead, you will constantly be balancing how you're going to keep your team just barely alive. This might be by sacrificing a team member periodically to destroy an especially strong ghost, or it might be in pushing ghosts back for one more turn so that one of your fellow priests will have a chance to attack before being haunted. What you do will never be enough to completely defeat the ghosts - but it may allow you to survive long enough to defeat Wu Feng! The next thing that I enjoy about Ghost Stories is that it truly encourages you to take advantage of your priest's special powers (which I haven't told you about). Each priest has a different power - you might be able to move twice, collect a tao token each turn, ignore curse dice, or several other insanely useful things. And, if you want to have any chance at victory, you will desperately fight to abuse these powers whenever possible. For example - is one of you able to ignore the curse die? Then they should fight every ghost that gives you a curse. Can your priest move another priest? Then you should move them to your location so that they can contribute their tao tokens in an upcoming battle. Can you both attack and activate a location? Then you need to make sure that you place ghosts so that they are adjacent to good locations that you want to activate. The third pro I have for Ghost Stories is that I like how the die rolling is implemented. When attacking a ghost, you roll the dice to see if you defeat them. Any die roll that matches their color (or is white, which is wild), counts as a hit. However, many ghosts have three or four hitpoints - which is very hard to defeat when you're only rolling three dice. This is when tao tokens come into play. Your priest can collect tao tokens (and there can be a universal tao token), and these tao tokens can be contributed towards your battle, thus counting as additional hits on the adjacent ghost(s). This means that there is a random element in the game, but you can still mitigate the chances of getting frustrated by the dice. And, occasionally you will even roll exceedingly well, thus keeping all of your tao tokens (for next time - because there will definitely be a next time). Good luck with these icons. My second con for Ghost Stories is that the icons are not as clear as I would like. I realize that this is a matter of playing the game more frequently so that you will learn what they all are. Yet, the entire point of icons is to make the game easier to play - both to teach new players, and to remind old players of different game elements. But, even after having played Ghost Stories a few times, there are still symbols that I don't know the meaning of because they come up very infrequently (such as the symbols on the different versions of Wu Feng). When you play the game (especially your first few times) be ready to either ask other players what things means, or have the rulebook handy to clarify. One last thing that I will mention about Ghost Stories (not really a pro or a con) is that it is only a four player game. The box says 1-4, and there are rules for playing with less than four, but, ultimately, the entire game was designed for four. The very setup of the game is dependent on having four player boards, and if less than four people are playing, then you will have each board activate, just like in a four player game. There's nothing wrong with a game that requires a specific number of players, and you even can play this with less. But, if you have a choice, I would recommend playing this with four so that you can avoid extra rules that work around you having less players. If you are looking for more cooperative games, you should also check out Lord of the Rings, Shadows Over Camelot, and Forbidden Island. A game that sat on my shelf for a long time before finally getting to the table is Lord of the Rings: The Duel. In Lord of the Rings: The Duel, players relive the duel between Gandalf and the Balrog. And, since they don't want to be dueling forever, they agree to only duel four times, and whoever has done the best will be declared the winner. In the first three duels, you draw nine cards and play six of them (putting the rest towards the final duel - in the final duel you actually use all nine cards that you've set aside). Each card that is played is used both for offense and defense, and this is determined by the gems showing on the sides of the card. There are four slots for gems, and each one that is filled in counts as an attack against the opponent's adjacent card. Thus, when playing a card, the left-side of the card attacks your opponent's last played card (attacking the right-side of their card). In each of the four slots that one player has a gem and the other doesn't, the player without the gem loses a health (because they just got energy punched in the stomach). Each duel continues until one player has run out of energy or until both players have played all of their cards. Then, the winning player scores points (moves up on the bridge) based on how badly they defeated their opponent. After one player goes to the top of the bridge (scores five points) or the players have completed four duels, whoever has the most points (is highest on the bridge) wins the game. My initial pro for The Duel was that I thought it was interesting and unique how the cards are played. Each card serving a dual purpose of both attacking and defending is neat, and it is executed in a unique, yet intuitive, way. I liked how easy it was to determine who was dealt damage, and how much. However, after I played it for a little while, I realized that it doesn't matter terribly much where the gems are located. If I play a card with three gems against your card that has one gem, I'm going to have an overall gain of two energy points against you. This may be that I lose one energy and you lose three, or that you lose two and I don't lose any. But, ultimately, the difference in number of gems is vastly more important than their location. The only time that their actual location matters is when one player is very close to running out of energy, and dealing each player damage will push them over (or at least precariously close to) the edge. But, for the most part, the number of gems is much more relevant than the placement of them. The next pro for Lord of the Rings: The Duel is that it is kid friendly. I think that you could play the game with anyone that can read, and they would understand the game. (Some of the cards have special abilities, and if your child is old enough to read, they're probably also old enough to understand how those abilities work.) And, as long as your wee one is at least fairly strategic, I think that they will have a decent chance for victory and that they will probably enjoy it. And, honestly, I think that it is important that The Duel is kid friendly, because I view it more as an activity than a game. There aren't tough strategic decisions that pull me in and want me to play it repeatedly and explore what the game has to offer. I'm sure that there are some strategic elements to the game that I've missed (like when you should try to obliterate your opponent, and when you're better off keeping stronger cards for the final duel), but, honestly, I did not find the game engaging enough to come back and try it out more. The game is so well balanced (as it needs to be) that it just seems a bit dull, in my opinion. There are a few special cards, but mostly, the players have the same cards - so if I get a one attack/three defense card now, you will probably get a comparable card later. So, we're probably going to lose roughly the same amount of energy - the strategy is simply determining when to deal this damage (which quite possibly will be dictated by when you draw various cards). Overall, I give Lord of the Rings: The Duel a 6.0/10. The game works; I just didn't find it exciting enough to keep coming back to it. If you're looking for light two-player games, you might check out Jaipur, Mr. Jack, and Atlanteon. One game that I've been hearing about for a while now is Village. In Village you're doing..... something... in order to gain the most victory points. Specifically, you are trying to make your family rich and famous and whatnot. In order to do this, each round will consist of various resources (cubes) being placed on the board. Then, players alternate taking turns by selecting a cube from the board and following the corresponding action. The actions can include collecting food, traveling, joining the monastery, getting married, becoming a village politician, selling at market, or performing a trade. Some of these activities take a while to master - and this is indicated through each player's "time" track. And, whenever a player makes a full loop around their time track, one of their oldest family members passes away and is either honored in the book of elders, or is buried in an unmarked grave (because there is only so much ink in this village - so once they write a couple of names down, they have to be very selective). Each round is completed whenever all of the cubes have been taken - at which point a Mass is performed, and the player with the most monks in the monastery gains some victory points. Then, the board is re-seeded with cubes and a new round begins. Play continues in this manner until either the book of ancestors is completely filled, or until all of the unmarked graves are filled. At that point, there is one final Mass, and then players check to see who has had the most successful family (by comparing what really matters to the people of Ye Olde Village - victory points). So, starting with the pros, the thing that I find most interesting about Village is that your people can die. This is a fascinating new addition to me. I have played a lot of worker placement games, and in many of them you can gain extra workers as you play. However, I've never played one where you actually lose workers as well. And, what I like even more about this is that it isn't necessarily a bad thing to lose workers. In fact, having five of your workers in the book of ancestors at the end of the game is worth quite a few victory points (12 to be exact). But, it is also good if you keep your people alive. Workers in the church and in the council chamber are worth victory points at the end of the game - up to six points per worker! So, there are interesting strategic decisions that you have to make about which worker you want to place, which are expendable, and when is it better to try to keep them alive (as much as possible). The next pro that I have for Village is that I like the distribution of the resource cubes on the board. These resources are not evenly spread - some actions will have drastically more cubes than others (the Market action only gets one cube per round). And, the round doesn't end until all of the cubes are gone. This provides a nice dynamic which forces you to either take advantage of a lot of different actions, or have an opportunity cost of taking a cube without performing an associated. It also forces you to prioritize your actions as some of them may not be available later in the round. So, the best players in the game will learn to gain at least a few points from actions that don't necessarily fit well within their overall strategy - or at the very least, they will take advantage of these extraneous actions to position some of their workers in different areas of the board in order to kill them and have them added to the corresponding section of the book of elders. Along the same lines as the previous pro, I also appreciate that the distribution of "resource" cubes doesn't only contain resources - it also has plagues. So, sometimes you have to make the decision between performing the action that you want, while advancing twice on your time track, or performing a different action and gaining a resource. Where this becomes even more interesting is through an action that I didn't mention before - you can always trade in three matching resources in order to perform any action. Which means that when there is a plague as the only resource available for an action you want, you can decide to spend three of your resources to avoid that cube. Or, in another situation, if there are only plague cubes remaining, you can also decide it is worth your resources to circumvent the plagues (and even select an action that doesn't have a cube associated with it). Now with some solid pros listed, I have two specific cons that I will address. The first con is that I feel like the first move of the game is too prescribed. Specifically, I do not see a reason why anyone would ever choose not to perform a marriage action as their first action of the game. When your workers die, you always have to lose the lowest numbered workers first. Performing a marriage action first allows you to unlock a worker with a "2" on him - one that will die after all of your starting workers. This worker, then, is able to be placed in a region of the board where you will want a worker to live a long time - possibly even all game. I can see reasons why you may or may not want to perform a marriage action every round, but if you don't do it in the first round, then (in my opinion) you are handicapping yourself for the rest of the game - and if you don't perform it as your first action, then there is a good chance that it will not be available to you later in the round. Now, I am admittedly writing this con out of my limited number of plays - feel free to share your experience with this and if you think that I am correct in this, or if you think that I'm off base. The second con is this - the theme. Or, perhaps I should say, "Theme? What theme?" I honestly had to look up what the theme of the game was before starting to write this review (after having played the game multiple times). And, after looking in the rules, I'm still not sure what it is. I think it is just that there are people in a village doing stuff, and they want to do it well. The last sentence of the "Game Idea" section is, "Those that worked hard during their lifetime may find themselves immortalized in the village chronicle and thus increase their families' fame." Yeah; so I guess you're trying to become a famous family. Anyway, this didn't bother me especially much, as I enjoy a strong theme, but it's not a requirement for me to enjoy a game. However, I can see where this would be a drawback to a lot of other people. Overall, I give Village an 8.5/10. I enjoyed my plays of it, and will probably keep playing it on an occasional basis - which, when you consider the number of new games I keep learning, is a pretty good feat! If Village sounds interesting, you might also check out Kingdom of Solomon, In the Year of the Dragon, and Lords of Waterdeep. I would like to thank Tasty Minstrel Games for providing me with a review copy of Village. 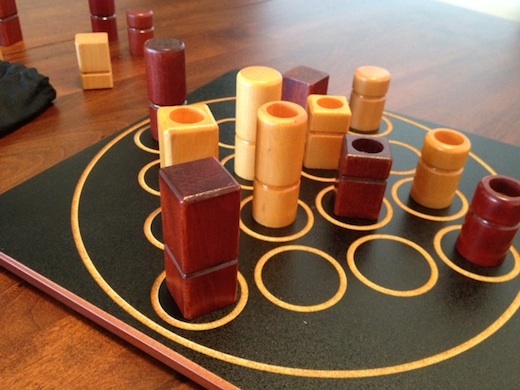 A little while back, I ranked my top ten abstract games. After I made that post, you all (my readers) suggested a few more that I should try. Notably, Quarto and Arimaa. Well, I listened and traded for a copy of each of them. And, though Arimaa is yet to hit my table, it is time to give Quarto a review. Quarto is a simple game (read: "this review will be short") of piece placement. The game is played on a 4x4 grid, and there are 16 total pieces. Each piece has four different attributes - color, height, shape (square or round), and hollow or filled-in. On each turn, one player selects a piece and hands it to his opponent. That player then places the piece on the board. When placing a piece, if you successfully create a line of four pieces in a row that all share an attribute (and realize it), then you win the game! If you didn't notice it, but your opponent does, then he can claim it and win. Play continues until either all of the pieces have been played and there are nobody noticed a four-in-a-row's (you tie), or until one person has won. There are only so many things to take pictures of in Quarto. The next pro that I have for Quarto is that the game is easily visible. In many of these "get a bunch of things in a row" games, there is something that either makes it hard to visualize what is going to happen, or makes it hard to actually physically see what is going on (Quadrago is a good example of this). However, in Quarto, you can easily see all of the pieces, and each attribute is distinct enough that, though you may miss what your opponent is trying to do, it won't be because your vision was blocked. My third pro for Quarto is that it is a great combination of fast and replayable. Since the game can only take up to 16 turns (and each turn only consists of placing a single piece), it goes fairly quickly. However, when you win the game (especially if you lose), you will find yourself wanting to play a rematch. 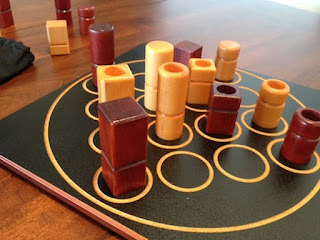 This makes Quarto a really good game to play when are looking to fill an indeterminate amount of time (when you're waiting on someone to show up, for example). I also see Quarto being a great game to play while simply hanging out with friends to socialize - a coffee shop type of game. The only real con that I have with Quarto is that each game seems to have a bit of a ramping up element early on. What I mean by this is that the first few piece selections and placements probably will not have very much strategy. After all, when there's nothing on the board, there's nothing that you really have to watch out for. So, at least when I have played, the first few turns are somewhat like, "here, take this one - throw it on the board somewhere; then, randomly pick another piece, and I'll do the same." 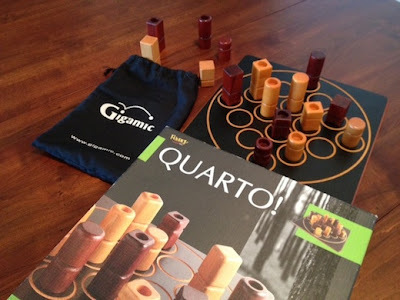 I'm sure that people who have played Quarto a lot more than I have will find much deeper strategies, and will start executing them from the beginning of the game. But, I still think that the first few turns (though necessary to make the game work) don't really matter very much strategically. Overall, I give Quarto an 8.5/10. I really like the game, and I will continue playing it. However, I will play it as a time-filler or as a game to play when I'm wanting to chat while playing, not a game that I will get together with a friend specifically to play. If you like abstract games, you should also check out Quoridor, Brandubh, and Dvonn. In Omen, the players are in the midst of a mythological war that seems to be set in ancient Greece. They are struggling to accomplish feats and overtake a few war-torn cities by using Soldiers, Oracles, and Beasts (such as Satyrs, a Phoenix, and Minotaurs). Each turn consists of a few different steps - first is the wealth step in which you are allowed to take a combination of three cards or coins. If you use all three of these choices to take the same thing (three cards or three coins), then you get a bonus item of the type you selected. Next, you play hoards of cards from your hand into the three different cities. When playing soldiers, they have effects that occur immediately, with beasts you either get to use their ability or play them for strength, and with oracles, they have abilities that occur every round. After you are satisfied with what you have played (generally because you ran out of coins), then all of your oracle abilities occur. Next, you check to see if you have accomplished any of the six feats (such as having a soldier in each city). Finally, it's time for action. You check to see if any of the cities are "war torn." A city is war torn if your opponent has three units in it, or there are a total of five units (or more) in the city. If this occurs, both players compare strength in the city, and whoever has the highest strength is the winner - thus getting to claim the top card from the city (each city has four cards). Whoever wins must remove all but one of his units, and the loser can keep two of his. (Note: during all parts of the game, including this one, beasts count as two units, and so the winner cannot keep a beast.) The last step of the turn is an optional offering - the active player has the option to discard a card from his hand in order to gain extra cards or coins (not a combination) equal to the card's offering value. Play alternates in this fashion until one player has accomplished five of his six feats, or until two of the cities have been scored four times. At that point, whoever has the most points (from scoring cities and feats) is the winner. Honestly, I have a lot of feelings about Omen; this review might be a bit tricky as I attempt to translate those feelings (that have been swirling in my head for a few days) into more eloquent thoughts about the game. Either way, let's start like normal - with the pros. The first pro for Omen is that I like the war torn rules. Specifically, I like that they're setup to allow your opponent to respond, yet allow you to intentionally overload a city enough that it forces it to score immediately. This is especially true early in the game, before either player has many troops on the table. During those turns, in order to force a city to score, you may have to place five units in the city by yourself (which happens to also be a feat, so it's not necessarily a bad thing to do). Later in the game, though, there are more turns when you will end your turn with three units in a city; either because that's all that you can afford, or because you don't think that your opponent will be able to take the city from you before the end of his turn. The next pro that I have for Omen: A Reign of War is that I like the different unit types. I like that each type has a different way of being used in the game, and that each of these different types can be incredibly effective if used correctly - oracles can give you long running bonuses, soldiers can give you a one-two punch of gaining strength and an effect, and beasts can powerfully swing a battle for a city (or do some other ridiculous ability). This diversity of types is a nice touch, and it is also nice that there are different Feats that can reward you for each of the different types. (There is a feat for having one soldier in each city, another for having one beast in each city, and a third for having one oracle in each city.) Granted, the downside of the feats focusing on having several units of the same type is that this adds a luck of the draw element to being able to accomplish some of the feats - which can be frustrating, since feats are one of your only two ways of scoring points. The final pro that I will mention about Omen are the amazing combos that are possible. It is really interesting to watch how some of the different cards combine together to make for incredibly powerful turns. You may be able to play a soldier that allows you to draw two cards and force your opponent to discard two cards, then you can play another soldier that allows you to move the first soldier - thus triggering his effect a second time. (And, by doing so, accomplishing a feat of forcing your opponent to discard three or more cards in a turn.) If you add in another card that allows you to draw a card and steal money from your opponent, suddenly you've been able to cripple your opponent in both cards and money, draw five cards (yet another of the six feats), and get a lot of strength on the battlefield - all with three cards! (Plus, you've refilled your hand, which helps set you up for the next turn.) Again - watching some of these combos can be a lot of fun. And that leads us into the cons. I mentioned "watching" some of these combos. That is because Omen can be an incredibly streaky game. Even in the combo that I just mentioned, it not only does powerful things to help you, it also severely cripples your opponent. Because of that, there will be times when one player feels somewhat helpless. You won't be able to do anything, your turns will be useless, and you're just waiting for your opponent to score and remove troops. This can grow even worse if your opponent has a lot of oracles in play, as they have effects that occur every round! So, if you are struggling to get anything out on the table, and your opponent has oracles that are forcing you to discard a card, and giving them a coin and a card every turn, it is very hard to feel relevant in the game. You will wind up spending several turns in a row doing nothing but wealth actions and offerings, hoping to get something together. However, once you finally do get some more meaningful turns, you might suddenly be able to turn the tables and have some insane combinations of your own - and hopefully your opponent won't be outscoring you so badly by that point that your turns are irrelevant. My next con for Omen is also about combos. Too often, executing powerful combos feels like a result of luck more than a result of planning. Why? Because the best combos generally come from getting to draw cards mid turn. Let's take the scenario that I gave in my final pro. On most turns, you will start with only a few cards. So, first, you play the soldier that allows you to draw two cards and force your opponent to discard two cards. This card is strong, all on its own. Now, say that you draw the soldier that allows you to move another soldier - boom, you're able to trigger your original soldier again. And thus you draw two more cards. What do you get next? A card that allows you to get more coins (or steal them from your opponent)? Now, you can play that, which then gives you enough resources to play yet another card. But what part of that was planned at the beginning of the turn? Playing the original soldier. More often than not, I felt like the combos, though powerful, were very reactionary. I'm not going to say that everyone agrees with this opinion - but it was definitely a sentiment that I had after playing. The last con that I will mention has to do with countering your opponent. In this game, every strategy seems to have cards that help you counter them. This is a good trait. So, you might be wondering, why is it listed in the section for cons? Because whether you actually get the cards you need for countering them will all be based on the luck of the draw. Take oracles as an example. Oracles help you in some small way every turn - they give bonuses like drawing a card, gaining a coin, or stealing a coin from your opponent. Fortunately, there are several different soldiers that can discard oracles. But, if you don't ever successfully draw these cards (or you are forced to discard them before you can play them), then you won't ever be able to get rid of their oracles, because they won't be forced to discard them by anything that they do, including scoring a city. So, you may draw the exact same cards two games in a row, but if you draw them when you need them one game and draw them when they aren't relevant the next, then you will have drastically different amounts of success. 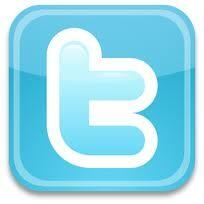 The final thing that I will mention is something that you should be aware of, but not necessarily a "con". This game is very text heavy. I mentioned this same fact about Smash Up (though, because of additional factors, I believe I called it a con in that review). However, I would say that Omen is even more text intensive than Smash Up. Every card has a significant amount of text. There are also a lot of cards, and not terribly many copies of each. This means that you will be seeing new cards throughout most of the game. Ok, that's not so bad. Now, you have to factor in that several cards allow you to "search through the discard pile" or "search through the draw pile." Uh oh. Whereas in other games that do this you are either familiar with your cards (because it is a game where you build your deck before (or while) playing), or the number of cards is somewhat small (each person has a 50-60 card deck for example). Not so in Omen - if you are searching through the entire draw stack, then you might have around 200 cards to look through, each with a large block of text on it. And, if this is your first time to play, you have no idea what most of them do - which leaves you the options of either pausing the entire game for about half an hour while you read through all of them, or making a selection that isn't ideal, simply to keep the game going. This is the balance of having a text intensive game - so it is definitely something that you should be aware of when considering if this is a game for you. Overall, I give Omen: A Reign of War a 7.0/10. I really thought that I was going to love this game. In fact, when I traded for it, I was incredibly excited about getting to try it out. But, for whatever reason, it fell somewhat flat for me. Hopefully I've been able to solidify my thoughts well enough to help you understand if this one would be a good choice for you, or if you think it's one that you should pass on. If you like games like Omen, you should also check out Summoner Wars, Glory to Rome, and Eminent Domain. In Anachronism, each of the players takes on the role of one of history's most famous warriors - someone like William Wallace, Ramses II, or Spartacus. Each warrior also comes with various forms of equipment, which can be mixed and matched between sets. To start the game, however, you take four "support cards" (equipment and special stuff), and you lay them out in front of you. To start each round, both players will flip over their next support card. The initiative of these cards will determine who goes first (and the card will also give you a bonus of some sort). Each player gets to perform a number of actions based on their character (Joan of Arc and William Wallace as two examples, both get three actions). These actions can be to move, attack, or use an ability. Moving is fairly straightforward, and abilities are explained on their corresponding cards. However, in order to attack, your character has various attack zones that they can target (and weapons may have different zones in order to expand your range). To attack your opponent, you position yourself so that your opponent ("target") is in one of your corresponding zones, and then you roll the dice and apply the modifier for that zone. Your opponent also rolls the dice - and if you rolled higher (after applying the modifier) than your opponent, then you hit them for damage as indicated on your character or weapon (generally one). Play continues like this until one character dies or until you have played five rounds (the last round doesn't get a support card). At the end of the last round, whoever has the most health remaining is the winner! Joan of Arc and William Wallace positioned to strike! The pros for Anachronism are simple - the concepts are amazing. I really like the idea of historical warriors fighting it out in an arena. That idea is so appealing that I've bought this game twice for it! Also, the attack zones are a pretty cool concept, and really makes quite a bit of sense - depending on who you are and what kinds of weapons you are using, it makes sense that you would be able to attack in different areas around you with different amounts of success. And, in fact, the execution of the attack zones in the game is decent - it encourages you to move around in order to get your opponent in one of your zones. However, since the ultimate outcome of the attack is determined by a die roll, a slight modifier really isn't worth spending an extra action to get your character in their ideal position. And thus, the modifiers become fairly unimportant strategically. Now that I've covered my pro for Anachronism, let's expand upon the con that I started hinting at. The attack zones, though neat conceptually, don't actually affect your decisions as much as they should. Each attack is determined by both players rolling dice and the attacking player applying a modifier. Joan of Arc has three basic attack zones - two of them provide a +0 modifier, and the other one provides a -1. However, in order to move her from being able to attack with the -1 to attacking with the +0, you must spend one of her three actions for the round. Instead of moving, you could simply attack an extra time. And, though your odds aren't quite as good with any of these attacks, making more attacks significantly increases your odds of hitting your opponent with at least one attack, while giving you the chance of hitting them with an extra attack. So, there's no incentive to position your character. This could be slightly changed if you thought that you might be able to move your character to a position where your opponent wouldn't be able to easily counterstrike you - but your opponent will probably get as many actions as you do, and so they will simply be able to make similar movements and attack you - with the ultimate affect being that you have less overall attacks. And so, you don't hit each other as often. Speaking of not attacking terribly often, Anachronism's next con is that it is too short. You only play five rounds. And, each character generally has seven or more hit points, and deals only one damage (though, to be fair, you may be able to attack several times in a round, and if you roll doubles, the attack deals double damage). And, chances are that you aren't going to hit your opponent on all of your attacks. So, this game winds up being much more of a fight to the somewhat injured instead of a fight to the death. Which really ruins much of the theme of the game, as I can't see Genghis Khan fighting an opponent and then going, "oh wait, sorry, I need to leave - I have a professional wrestling match here in a few minutes." With all of those cons, though, I think that my ultimate con might be that the game just simply isn't very strategic. There are some strategic choices in the game - how do you want to lay out your support cards, how would you like to position your character, but the ultimate decision maker is the dice. Whoever rolls the dice better will win the game. The board isn't large enough to strategically position especially well. You simply can't get out of range, especially if your opponent's character is in the middle of the board. So, you will be fighting every turn. Roll well and you will win. I don't really know how to express this any better than to share this - the lack of strategic choices made the game so dull that, even with as short as the game is, we were still bored with it before the game ended. Overall, I give Anachronism a 5.0/10. The concepts of the game are really intriguing, and I wish that another designer would pick up this theme and run with it. It could be amazing! But, unfortunately, the History Channel may not have been the best publisher for this kind of game. 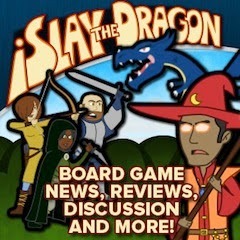 If you want to read about a better skirmish game, you might check out Summoner Wars, BattleCON, or Dungeon Command. Since 2008 he’s been a special librarian for the Georgetown County Library system where he has managed the Bunnelle Youth Technology Experience Series (BYTES) where he crafted a games program which integrated games and technology to engage area youth in a proliteracy setting, encouraging scholastic achievement while building a game community at the library. As libraries strive to find continued relevance in a modern era where the internet has made information more accessible than any time in history librarians are focusing more on community support and service with fewer resources being dedicated to curating dead trees. While we are still years, or even decades, away from paperless libraries many branches now offer electronic or audio books, online access points, and most importantly: programming and community space for activities. The situation in the Georgetown County Library System in South Carolina is unique; our four libraries are very disparate in social demographics as well as each having distinctive geographic circumstance. Our main branch is in the city of Georgetown, while our other branches are isolated. One library branch sits in the parking lot of the grade and high schools, a second is within walking distance of the projects, and the third is in a significantly more affluent area with very low foot traffic. Playing games at the library! 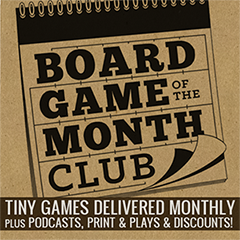 There is no requirement for patrons to participate in board games, or educational activities, we don’t even require them to show IDs. Conversely, to participate in video games we have specific requirements; school aged patrons must check out 4 items a month from the Georgetown Library, at least two of which must be books. For that they get 2 hours a day, on days the room is open for games, that they can come play games. Besides our ground breaking video game activities and tournament initiatives, the Georgetown County Library System has offered game design activities for both video and board games, as well as community games days, and even taught game literacy classes helping patrons to discover sources they can trust for game reviews. In addition to entertainment activities we have used games to support other programs in the library. Because our libraries are all open five or more days a week, and we have a focus on game events, we have a wide variety of game activities every month of the year. Each branch has at least one staff member who not only provides traditional library services, but also acts as a gaming and technology specialist. These employees check out games to library patrons, run game days, and even help us develop our collection. The GCLS received a Smart Investing At Your Library grant from the American Library Association and FINRA, the Financial Industry Regulation Authority. Because of this grant the Georgetown Library System was able to offer a wide variety of financial programming, called Personal Investment Education (PIE), including game activities. At our annual book sale event where we served free pie to library patrons we had tables of games focusing on economic matters, including Settlers of Catan for Trading, Dividends, Shark, and Acquire for investing, and Masters of Commerce for auctions and real estate. We also utilized auction games like Medici and Modern Art, while games like Loose Change and Exact Change were available to play with younger children still learning how to count money. 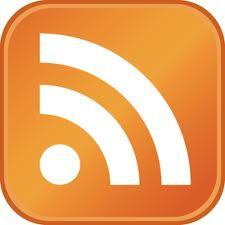 Some of our Smart Investing activities also combined with our Summer Reading Program and our game design activities. A quick example includes the use of Northstar Games Wits & Wagers and Say Anything game lines, both of which are popular at the library. Besides playing the games patrons earned game time for helping come up with four questions for a game show we had after a week of financial activities two Wits & Wagers style questions with well written question and a researched answer (including a valid source) and two money related questions for Say Anything. Competition, both at the game show and to submit questions, was fierce. I encourage you to get involved at your local library, however if you would like to support games in the Georgetown County Library System you can donate games, credit at online games vendors, or time. 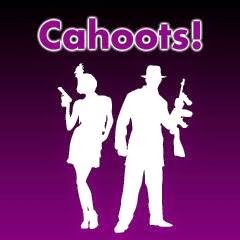 We always need people to come and teach new games. I would like to echo Donald's sentiments. Whereas his library may not be the norm for public libraries (yet!) I would encourage you to check with your library to see if they have a similar program - or if they are interested in starting one. I know that the public library in Joplin's young adult department was interested in board games, and I was able to donate a few games to help build their collection.